Full Moon in Aquarius on July 31 2015: Stand Up and Be Counted! A month that began on a high ends on a high with a Full Moon on July 31st in zany and community-spirited Aquarius. Time to stand up and be counted! This is a "Blue Moon" - that is, the second full moon in a single month. On July 2nd we had a Full Moon in Capricorn that brought your attention onto the world stage and the structures, rules and regulations that govern your life. This Full Moon gives a different message: It's time for change! Together, we can make a big difference! This is a moment of major realisations for everyone, shedding light on new ideas that can change the world. On a world scale, this may be leadership (Sun in Leo) which brings people together and which has repercussions for the whole community (Aquarius Full Moon). Or it may be a single creative spark which starts a whole new trend! On a personal level, this is your chance to join hands with others toward a creative endeavour. It's also an opportunity to stand out from the crowd and showcase your uniqueness. This full moon can see you implement your vision for change, witness a creative project reach fruition, or observe your personal contribution to the wider community. This Full Moon in Aquarius is a clear signal that it is time for change. No use hiding your light under a bushel and trying to 'fit in'. Just be yourself! You will find that you are not alone: there are many more wierdos out there in the world ready to join you. This moment of clarity comes at a difficult time, as Jupiter is about to square Saturn, when your goals may well meet with de facto financial and other obstacles and limitations. This full moon represents a high tide of consciousness amid a struggle for growth - of hope in the face of difficulty. It is here to help you crystalise your ideals, even if more work lies ahead. You can also look forward to a highly sociable weekend, when you can reunite with dear friends that you may not have seen in a long while (that's due to Venus retrograde). This is a time of solidarity that can leave a lasting impression on your heart. Full Moon in Aquarius 2015: How does it affect each Star-sign? What's culminating for you personally? Read on to find out more. 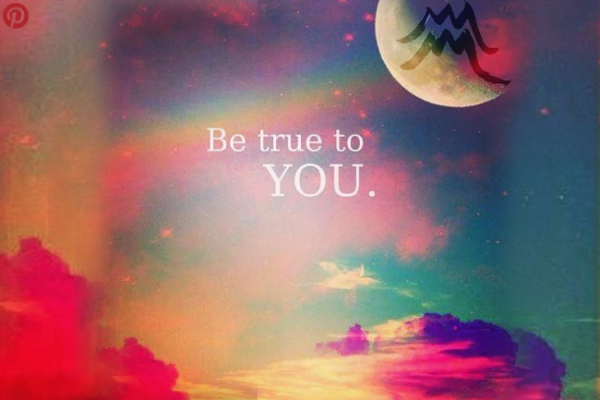 Alternatively, get a personal reading with one of our trusted astrologers on 0207 111 6384! Who are your friends? Who's on your side? What is your future vision? What's going on in your wider community? You can now get a definite sense of your social circle and whether or not it supports your creative endeavours. Possible manifestations: Speculative activities now reveal their rewards. Your creative project culminates impacting your community. A love affair surprises your friends. A clear view of those who's on your side. A sense of where you belong in the wider world. Action: Celebrate with friends! Caution: Don't lose sight of your creative vision. Where are you headed career wise? What is your public image? Are you achieving your professional goals? Time to remember who you are deep inside and get clear about where you are going. Possible manifestations: Events in your home base and family now have repercussions on your professional life. Inner psychological processes give rise to new career goals. Recognition, responsibility and stature - or a fall from grace - stemming from your heritage. A sense of who you are in the eyes of the world. Action: Set a new direction! Caution: Don't lose sight of where you are coming from. What do you believe in? Where does your future lie? What gives your life purpose and meaning? It's time to take a look at your philosophical outlook in life and how this is informed by your immediate environment. Possible manifestations: News give rise to a new vision for the future. Communications reveal the full scope of your belief system. Matters involving travel, the law or higher education culminate creating lots of food for thought. A moment of clarity about your future. Action: Show faith! Caution: Don't lose sight of the facts. What are your financial commitments? How much do you depend on others for sustenance? Are your financial affairs in order? Time to become conscious of your financial dependencies and obligations and to take back the financial reins. Possible manifestations: Developments involving loans, taxes, grants, benefits and other joint financial agreements shed light on your own assets and value system. Investors or creditors urge you to think more carefully about your earning power. Financial choices are clearly constellated. Action: Wellcome a gift! Caution: Don't lose sight of your own worth and values. What's the state of your relationships? Are you giving and taking in equal measure? Are you being fair? Is a relationship worth pursuing? Time to clearly see who you are dealing with and what it is that you can bring to the table. You have the power in this. Possible manifestations: A culmination in your relationships shines light on your capacity for personal leadership. Your own goals and desires are revealed through your partnerships and agreements. Your personal efforts meet with a public response. Your interactions with others shine a light on who you are. Action: Recognise others' needs! Caution: Remember that you are the one in charge. What's your state of health? Are you giving your body what it needs to function? Are you using your time at work efficiently? Do you have a good work-life balance? Time to clearly see what works and let go of what doesn't. Possible manifestations: Events beyond your control/behind the scenes culminate in revelations at work. A health crisis may reflect deeper psychological issues that need to be addressed. A stressful time brings on a need for seclusion and recovery. Putting personal desires aside to meet an obligation. Action: Do your duty! Caution: Don't forget to allow yourself time to rest. What makes you happy? What does your heart tell you? Are you expressing your creative talents? Time to focus on your own happiness and creative self-expression and seek a community that can support you. Possible manifestations: A friendship turns into a love affair. Events in your wider community allow you to express yourself and reveal your creative talents. A time for fun and romance fun stemming from the people that surround you. A pregnancy that awakens your ideals and dreams for the future. Action: Fall in love! Caution: Remember your friends. Where do you feel at home? Who are your family? What gives you a sense of belonging and security deep inside? Time to embrace your heritage and set new goals in life. Possible manifestations: Developments in your career now have repercussions for your home and family. Your roots, heritage and personal security come into the spotlight, urging you to ask questions about your life direction. Events out there in the public sphere have highly personal consequences. Inner realisations urge you to take charge and set your life on a new course. Action: Secure your foundation. Caution: Don't loose sight of your responsibilities. What do you still need to learn? How does your environment serve you? Are you staying too much in your comfort zone? It's time to see exactly where you are playing it too safe and where you can give yourself room to grow. Possible manifestations: Lots of commotion makes you ask the bigger questions in life. News urge you to become conscious of the things and people that give your life meaning. New information impacts travel, international and educational projects. Relations with a sibling or neighbour shed light on your principles. Changes urge you to question where you see your life going. Action: Listen and learn! Caution: Don't loose sight of the bigger picture. What is your financial situation? Are you making the best of your assets? What do you value most? Time to look at your finances and values and become more conscious of the ways in which you financially rely on banks, benefits or partners. Possible manifestations: Events impact your earning power and shed light on joint financial obligations and agreements. A spotlight on your own assets urges you to reflect on how much you depend on others. A chance to make the most of your gifts whilst assessing sources of passive income. A large expense. Action: Demand your dues! Caution: Don't loose sight of your financial inter-dependencies. How do you come across to others? Do you need to make changes in your appearance? Are you pursuing your goals in life? What is it that you want? Time to take a clear look at yourself and on the impact that you have on important others in your life. Possible manifestations: You're put into the spotlight as a result of others' actions. An identity crisis arising from your relationships. Self-examination helps you become more conscious of a partner's needs. You feel the need to defend your own interests, pushed by others. Action: Take charge! Caution: Don't lose sight of your most important relationships. Do you feel at the mercy of events? Are you giving yourself the necessary space to recharge your batteries and deal with any fears that are arising? Are you tending to your spiritual needs? Time to release the past to regain control of your life and restore your body. Possible manifestations: Psychosomatic ailments make it hard for you to function on a day to day basis. Work requires sacrifices now. A philanthropic endeavour culminates. Events in large institutions or over which you have no control make you reflect on the way you have organised your day to day life. Action: Let go! Caution: Do what you need to keep your life ticking over.